Trap with flap and air-tight cleaning eye is integral molded part of the body. Cleaning eye for ease of maintenance - easy to open and fit. Side flow circular grating with solid top. 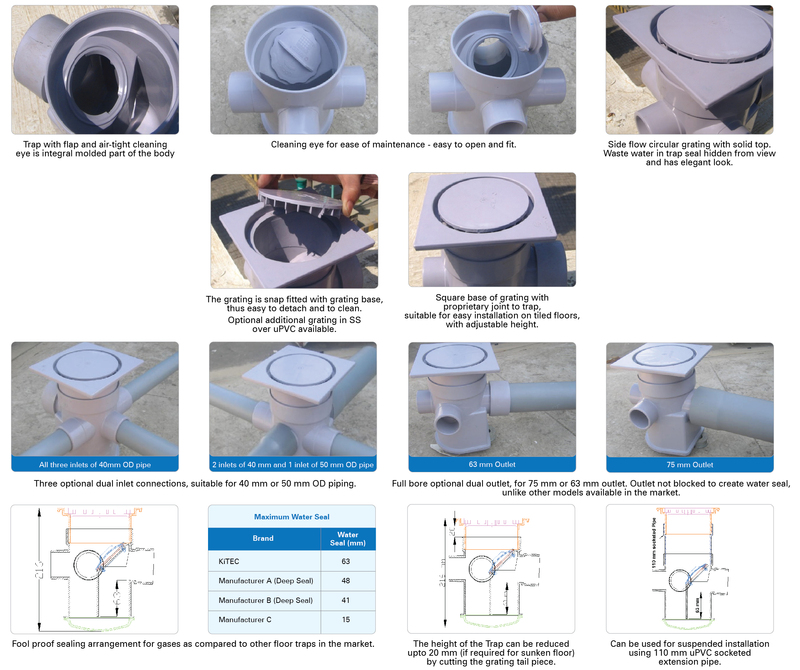 Waste water in trap seal hidden from view and has elegant look. KiTEC Industries (India) Limited, an ISO 9001:2008 Company is a joint venture promoted to manufacture revolutionary piping system known as "KiTEC Composite Pipe System (KiTEC-CPS)". The Company commenced its manufacturing operation in technical and financial collaboration with KiTECHNOLOGY BV, Netherlands, at its state-of-the-art manufacturing facility at Silvassa in October, 1996. Being the pioneer of multilayer pipes in India Since 1996, KiTEC has developed additional sizes from 2025 (25 mm OD) in the initial period to 90110 (110 mm OD) size now and also developed many changes in joining techniques to meet the requirement of the market. The excellence in quality and long service life of KiTEC-CPS has been widely acclaimed in India and the pipes are now widely applied in fields of potable water system, compressed air system, gas distribution system and host of their applications in small diameter piping systems. 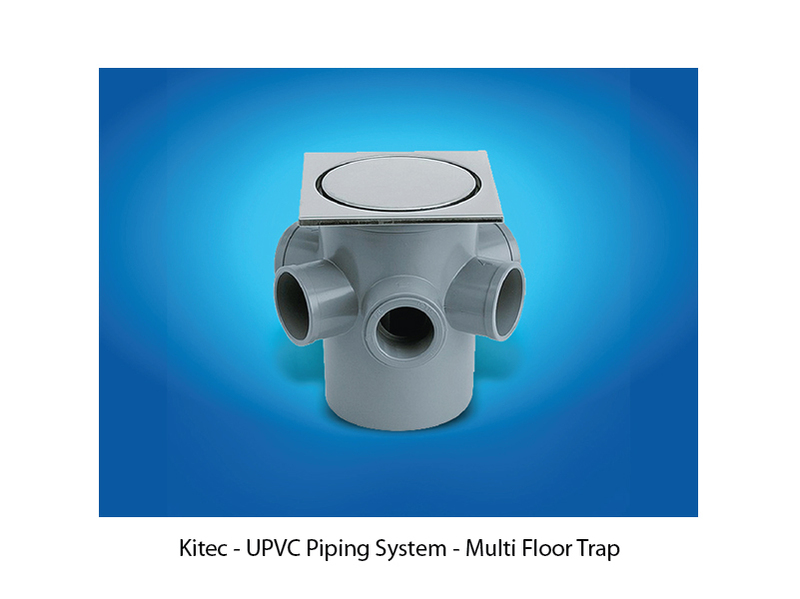 KiTEC pipe uses special polyethylene grade which is hygienic, non-toxic and smooth. The middle aluminum layer is impermeable. This structure provides KiTEC pipe the advantages of both metal and plastic while avoiding all the weaknesses associated with these materials.